Tracking the movement of ivory through the nebulous, international black market is extraordinarily difficult. But we need to start doing a better job of it if we want to stamp out the illegal trade that claims 100 elephant lives every day. One journalist’s solution? 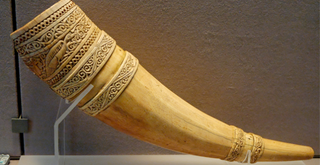 Build the world’s most convincing fake tusk, and stick a tracking device inside. The September National Geographic cover story details Bryan Christy’s two-year exploration of the illegal ivory trade in Africa. To track elephant poachers and find out where their plunder changes hands, Christy hired a world-renowned taxidermist and a radio tracking specialist. They set about building the ultimate decoy: an artificial tusk that looked, sounded, felt and smelled like the real thing, complete with a battery-powered GPS tracker that fits snugly into a cavity. Several months after the decoy was planted into the smuggling supply chain, it had made its way hundreds of miles north, from Mboki in the Central African Republic to Ed Daein in Sudan. The investigation, which you can check out in full over at National Geographic, unearthed many fascinating nuggets about the ivory trade, including a direct link between poachers and terrorist activity. Today, an enormous amount of illegal ivory is traded online, and not just in the shadowy recesses of the dark web, but on popular consumer sites like Craigslist. In many ways, technology has helped enable poachers and illegal traffickers. Perhaps the most uplifting aspect of Christy’s stunt is that it underscores how technology can also help the good guys fight back.